Kenny Chesney is on the cover of the latest People Magazine, and in the interview discusses an event that changed his life. For Chesney, it was the sudden death of longtime friend Kristi Hansen last year that made him take stock of his life. Hansen was part of a circle of friends he’d met back in the 1990s, when he was just on the cusp of stardom and began spending his downtime in the U.S. Virgin Islands. Hansen’s death from a brain aneurysm at age 35 – while six months pregnant with her first child – devastated the singer and inspired him to reevaluate his own life. Read the full story in People Magazine when it hits newsstands on Friday, May 31st. The Wall Street Journal chronicles Kenny Chesney’s tour success, noting that he’s sold more tickets the past decade than any other act. In the music industry, a stadium concert is the ultimate rock-star status symbol: Few acts can sell enough tickets to fill one, let alone a multitude of such venues year after year. Superstars Jay-Z and Justin Timberlake had to team up to book 14 stadium shows this summer. Mr. Chesney is doing 18—a typical summer run for him. Less-frequent tours by blue-chip artists like the Rolling Stones, Madonna and U2 may grab more headlines, but their numbers are dwarfed by those of Mr. Chesney, a 45-year-old country rocker whose onstage uniform is a cowboy hat with the brim pulled low and a sleeveless T-shirt that shows off chiseled biceps. Through relentless touring year after year, Mr. Chesney (who seldom performs overseas) has sold 9.8 million concert tickets since 2003, the year he graduated to stadiums, for a gross of $608.6 million, according to Pollstar. His closest rival in tickets sold is the indefatigable Dave Matthews. who mostly sticks to arenas and amphitheaters. Bruce Springsteen, no stranger to stadiums, sold 5.5 million tickets over the last 10 years for a gross of $460.5 million. Kenny Chesney played to a sold-out crowd at Miller Park in Milwaukee on Saturday night. After performing the song “When I See This Bar” with Eric Church, Kenny led the crowd in singing “Happy Birthday” to George Strait who turned 60. Following “When I See This Bar,” Kenny made a spur of the moment decision to have the capacity crowd sing “Happy Birthday” to George Strait, who was turning 60. He promised the enthusiastic crowd he would email the performance to George. “We’ve got some surprises up our sleeve, so next year’s gonna be fun,” Strait tells Country Countdown USA‘s Lon Helton. The pair recorded together on ‘Shiftwork,’ a No. 1 duet from 2007. Prior to that, Strait recalls that Chesney and Tim McGraw were touring with his George Strait Country Music Festival in 2000 when they pulled an infamous stunt that got them arrested. Chesney was reportedly riding a police officer’s horse backstage without permission, and when two officers tried to stop him, McGraw and his manager stepped in. A small scuffle ensued, and both stars were jailed. They were later cleared of all charges. Kenny Chesney appeared on Katie Couric’s daytime television program on Monday along with many first responders from the city of Boston. More photos and video clips are available at katiecouric.com. 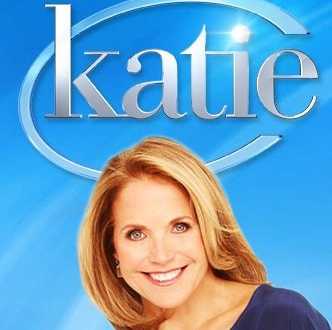 Be sure to catch Kenny Chesney on Katie Couric’s show today (check your local listings). The show, which also features two segments on the first responders to the Boston Marathon and a mother/daughter who were both injured, focuses on Kenny’s Spread The Love Fund which will go to help those injured get prosthetics and related care, the inspiration behind Life On A Rock, taste-testing his Blue Chair Bay Rum and discussing work ethic, achievement and what really matters in life. Kenny also performed a stripped down version of “Spread The Love,” the song the Wailers recorded in Jamaica and asked Kenny to write the lyrics for. Kenny’s portion of the money from all downloads of “Spread The Love” will go to the Spread The Love Fund. Kenny Chesney revealed this week that Blue Chair Bay Rum, his recently announced line of premium, born-on-the-beach spirits, will throw launch parties in 18 key cities during his No Shoes Nation tour this spring and summer. These parties, which range from parking lot tailgates to on-premise celebrations, promise to deliver the island-lover’s signature “nowhere to go, nowhere to be” state of mind to rum enthusiasts and music fans across the country. The laid-back parties invite like-minded imbibers across the nation to raise a glass of Blue Chair Bay Rum’s White, Coconut and Coconut Spiced flavors in celebration of the anytime, anywhere spirit that defines island life. Locals are invited to sip on signature Blue Chair Bay Rum cocktails, take part in island-themed giveaways and indulge in the singer/songwriter’s “check your troubles at the shore” way of life. All will be open to No Shoes Nation tour ticketholders 21 years of age and older. Markets include Dallas (5/11); Milwaukee (5/18); Landover, MD. (5/24); Seattle (6/1); Virginia Beach, VA. (6/6); Philadelphia (6/8); Indianapolis (6/13); Kansas City, MO (6/15); Pittsburgh (6/22); Columbus (6/29); Minneapolis (7/12); Denver (7/20); Mountain View, CA. (7/25); Anaheim, CA. (7/27); Charlotte, N.C. (8/1); Atlanta (8/3); East Rutherford, N.J. (8/10); Detroit (8/17) and Foxboro, MA (8/23). Blue Chair Bay Rum will also co-host a series of No Shoes Nation Happy Hours that are free and open to the 21+ public. Events will be held in partnership with No Shoes Radio, Chesney’s eclectic online radio station, the night before parties in Dallas, Milwaukee, Landover, Seattle, Philadelphia, Kansas City, Pittsburgh, Minneapolis, Denver, Anaheim, Atlanta, E. Rutherford, Detroit and Boston. Those who won’t be in one of the 18 cities can still get in on the action by downloading the special Join The Nation app. With it, they can take the ultimate pirate quest: transforming a picture of their face into the skeleton that flies on the No Shoes Nation flag. Blue Chair Bay Rum is not an endorsement. Chesney wanted to make a rum based on authenticity and flavor. He was deeply involved in every step of the development process, including working closely with legendary blender Mike Booth and famed master mixologist Jonathan Pogash. The three premium blends of rum, all mellowed in casks on the shores of Barbados, will be available in 750ml and 1.75L bottles across 32 markets in May of 2013. Chesney’s 42-city No Shoes Nation Tour, including 19 NFL Stadiums, will run through August 23-24 with a two-night stand at Foxboro’s Gillette Stadium. With his reflective Life On A Rock, a more acoustic and searching album with guest appearances by Willie Nelson and the Wailers, having arrived on April 30, the 8-time Country Music Association and Academy of Country Music Entertainer of the Year will be making plenty of music this summer.